Location, Location, Location! This South Maui fourplex is found in the center of bustling Kihei town. You can't beat this beachfront property! Step out of our safe, private gated community right onto the breathtaking Kamaole Beach Park 1 or to Charley Young Beach Cove. Enjoy a beach walk where whales and turtle sightings are common. Two and three bedroom tastefully furnished condos become your ideal home away from home. It is just steps to local restaurants, beautiful beaches for surfing and snorkeling, and shopping. 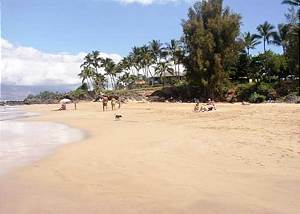 Also walking distance to the nightlife in Kihei. The pulse of Kihei are at your fingertips but manicured landscaping keeps our properties privacy. From our oceanfront swimming pool, you can watch the rolling waves. Barbecue, at our poolside barbecues, as the sun falls into the ocean and make the most of your Hawaiian vacation at this hidden gem! 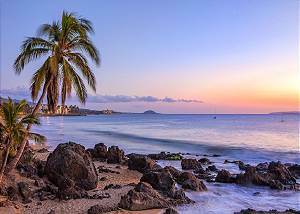 With affordable rates and stunning island and ocean views, Hale Ili Ili is one of the most sought after properties in Kihei. Whether you want to sun by the pool, take a surf lesson, or snorkel with the endemic Hawaiian marine life, our Hale is sure to become your favorite getaway! Our condos for rent have considerable privacy and you will find the relaxing atmosphere you are looking for in our comfortable well-appointed condo accommodations. The rental units have fully equipped kitchens for cooking and lanais for you to enjoy outdoor dining, whale watching, or having a refreshing drink while reminiscing about the daily adventures you had on our island paradise. Hale Ili Ili is the perfect place to enjoy the gifts Maui has to offer. Come to the island where the sun dances on soft white sand beaches and green sea turtles peeking their heads out of the stunning pacific ocean is common. Book a Hale Ili Ili condo rental to make this tropical fairytale a reality! Make Hale Ili Ili your Hale on your next Maui vacation!